This book is still being sold in Indian market as Reprint done in 2011 by Willey India. Author of the book is Wei-Meng Lee. Book cost about Rs. 499 celebrex medication. It is really not the worth. Though it says the print is done in 2011, but actual material presented in the book is from year 2009. Book only covers the iOS features till version 3.0. Most of the chapters are very nicely presented and author should be praised for great screenshots and very relevant examples. Only buy this in case you get huge discount like 50% or more. 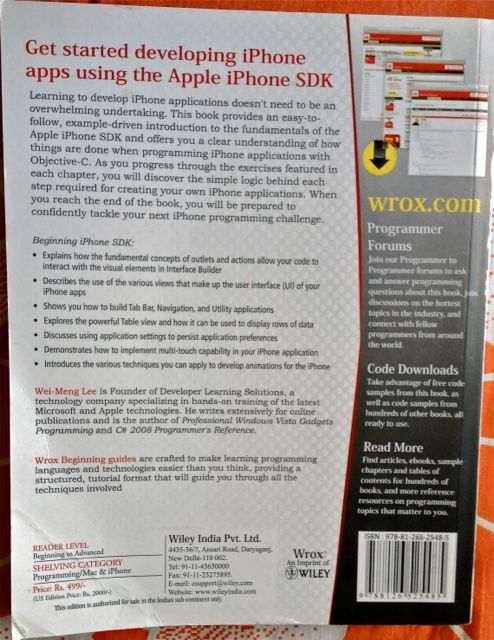 Author has come up with new book Title “Beginning iOS 5 Application Development“. 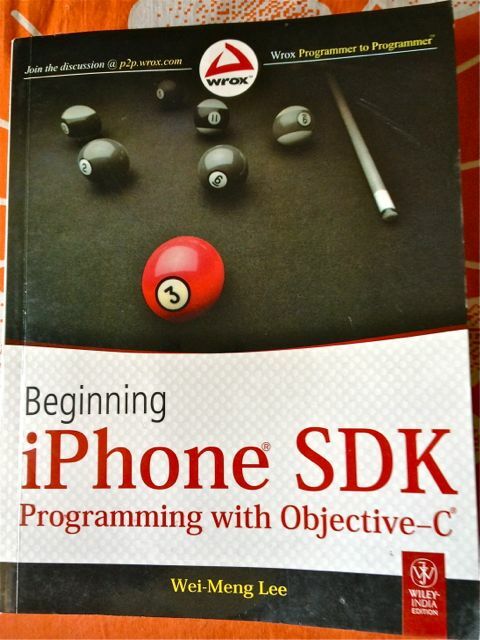 This book is much much better has color print and relevant examples to iOS5 and Xcode 4.x. However this is available in India only through import and will cost 1600 above.